Springtime in Utah’s high desert is about wild weather, wind, and wildflowers! When mountain biking, you can’t avoid confronting the wind and wild weather that arrive each spring, but it’s easy to completely miss the wildflowers as you fly down the trail. We here at Rim Tours, would like to encourage you to pause a moment, to appreciate our vernal visitors. On your next mountain bike ride, see if you can identify some of these colorful canyon country constituents. Choose a stopping spot that allows others to safely pass. Lay your bike down with the tires inside the edges of the existing trail in order to keep our singletracks single. 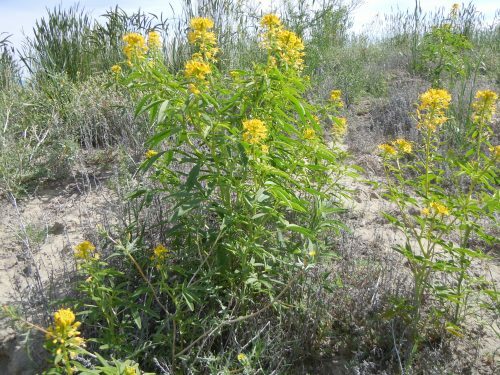 Yellow Beeplant: You’ll see this one everywhere. With large bright clusters of yellow blooms, usually growing like a small bush about a foot tall, the Yellow Beeplant is one of the only representatives of the Caper (Capparaceae) family in the region. Though in the same family as the pickled condiment served on lox and bagels, there are about 700 species within that family, so there's little chance the fruit-like pods you see on our local beeplants will end up in a jar in your fridge. Claret Cup: Rather rare compared to Yellow Beeplant, but well worth the effort to track one down, the claret cup is one of the most spectacular flowers in canyon country. 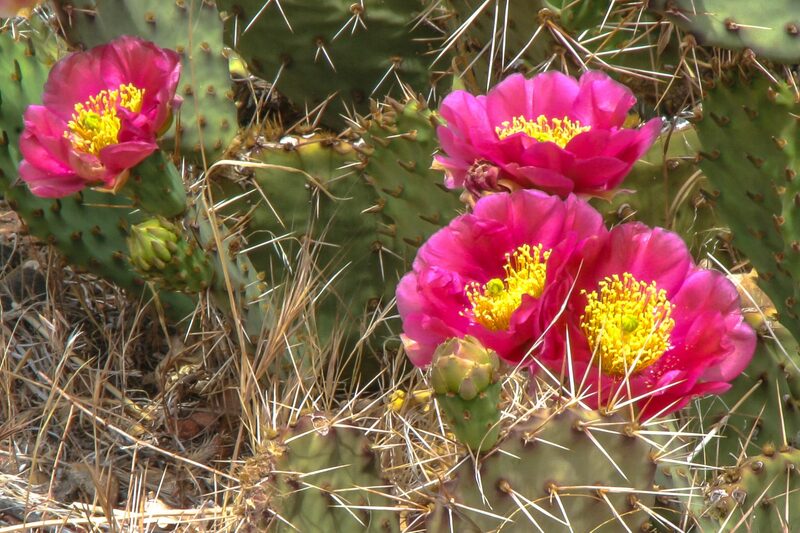 Found on a small cactus that grows in clumps low to the ground, its ruby-red blossoms are unmistakable, forming a very cup-like shape in a particular shade of red that closely resembles its namesake wine. 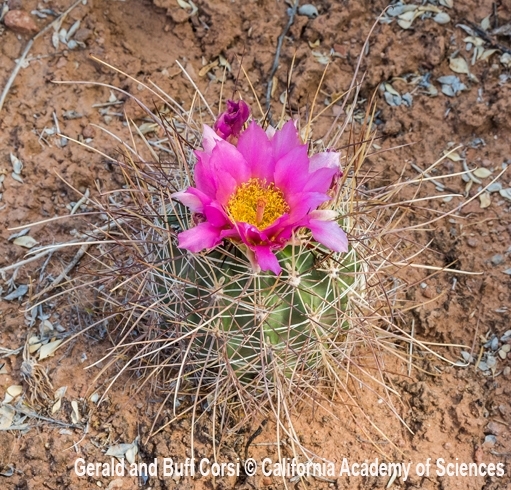 Whipple’s Fishhook: Easily identified by the ends of each cactus spine shaped like a fishhook, this small barrel cactus grows between two inches and a foot tall, and has only one blossom at the top. The fuschia or yellow colored, waxy-looking petals are large and surround a yellow center. Four-wing Saltbush: This blossom often doesn’t look very “blossomy,” which makes sense because what we call its petals are actually the plant’s seeded fruits. Often green, or grayish-white, each fruit has four prominent wings, with seeds, and they may last all summer long. Commonly found in areas with desert shrubs and in pinyon-juniper communities, it gets its “salty” name due to its penchant for salty soil. 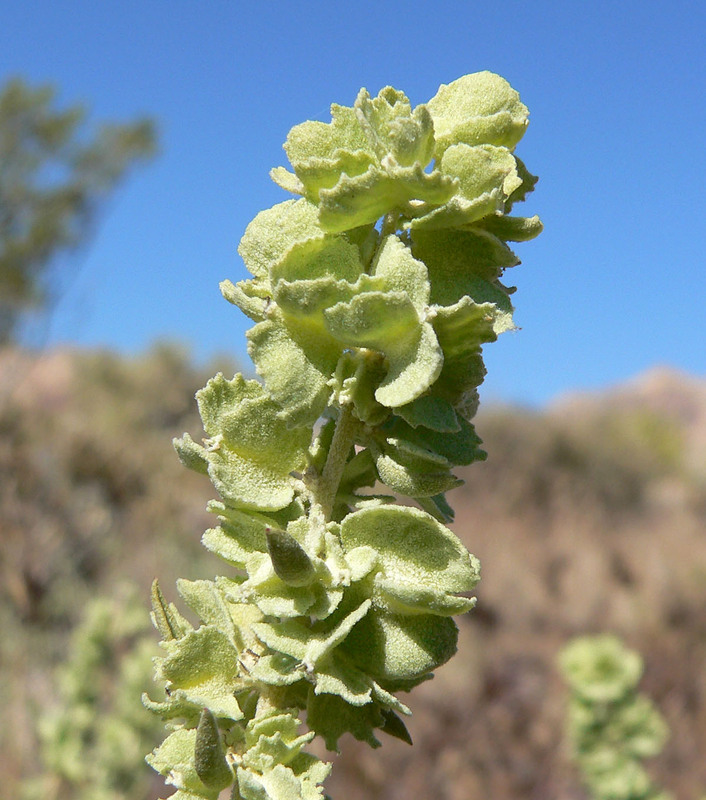 The four-wing saltbush is a member of the Goosefoot family, which gets its name because the leaf shape is sometimes said to look like a goose’s foot. This is the same family as beets and spinach. Harriman's Yucca: Part of the Agave family, the yucca is one of the most useful of all of canyon country’s plants. The cream-colored petals are delicious in salads. Its tall, woody stem and leaves have long, durable fibers which were used by the Anasazi Indians to weave sandals and baskets. These fibers are so durable that many of the yucca fiber sandals have survived through the centuries until today. The yucca’s roots were used in making soap, and also provided a starchy staple for Anasazi diets thousands of years ago. Today, the starchy root is known as cassava. 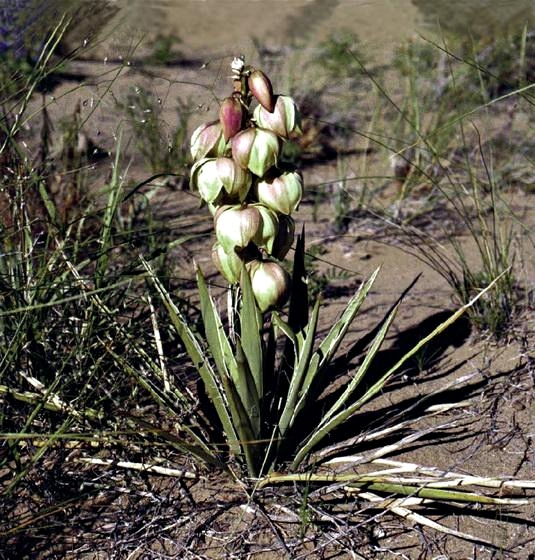 The yucca’s strong, sharp needle-like thorns were useful in making tools, as well. 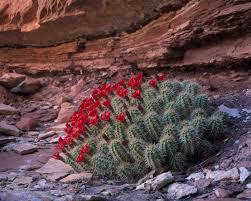 Prickly Pear: This cactus is widely distributed, making its home across all the western states, from Canada to Mexico. Its showy petals can be yellow, bronze, pink, or violet. Prickly pear fruits are sweet, but difficult to harvest (due to their glochids – tiny, almost invisible spines.) When squeezed, the fruit makes a brilliant deep-purple juice, syrup or jam. ← DIY Ride or Guided Mountain Bike Tour?